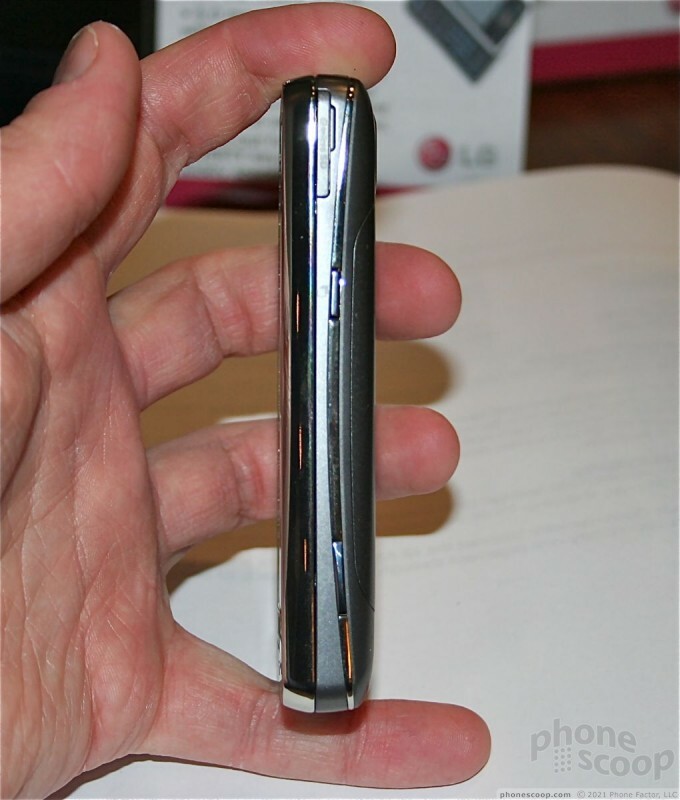 Phone Scoop was able to spend a few moments with the recently announced LG eXpo. 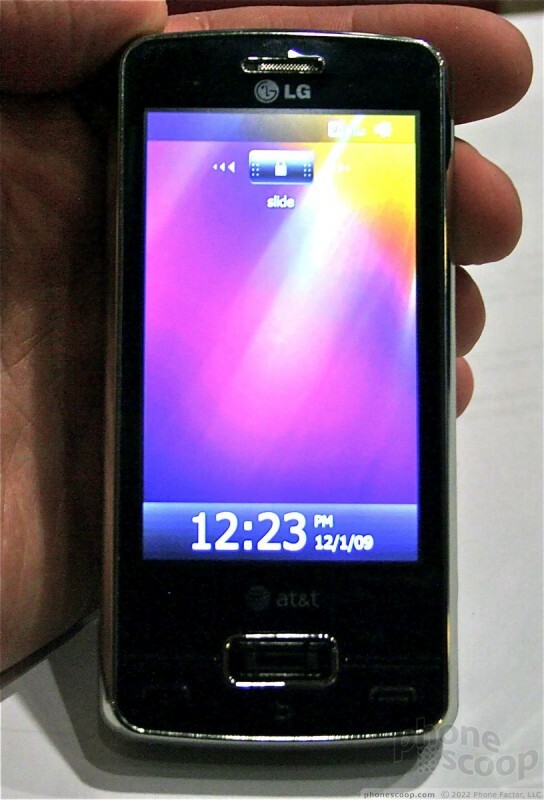 This Windows Mobile 6.5 phone sports a unique, detachable pico projector as well as a QWERTY keyboard and touch screen. 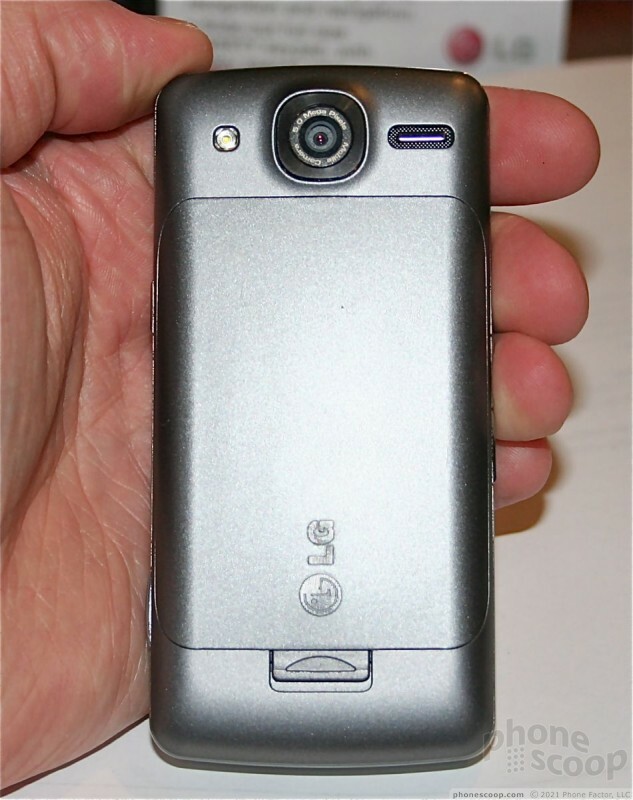 LG recently announced its second Windows Mobile device for the U.S. market — the eXpo. This device is more than a mere smartphone, however, and has a trick, removable pico projector for showing your friends movies...er...colleagues those PowerPoint presentations you've been working on. Even without the pico projector attached, the eXpo is one chubby phone. 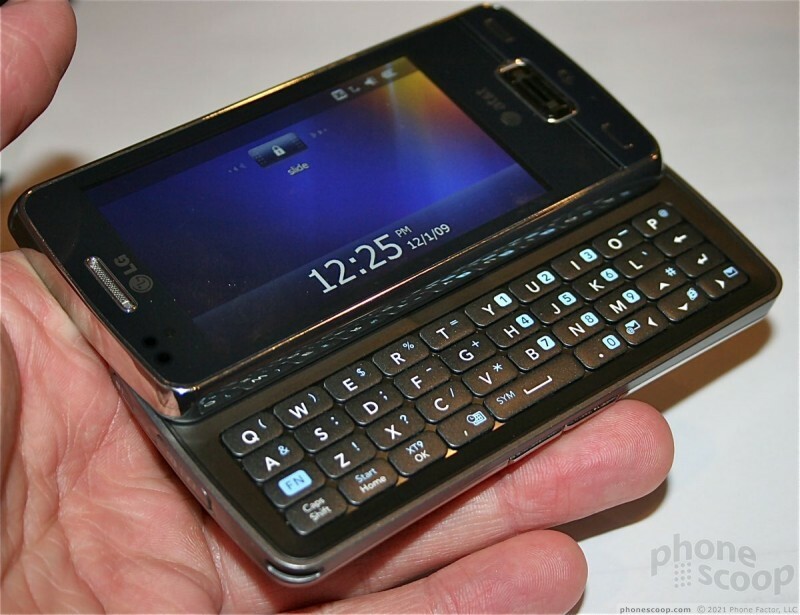 It has a reasonably large display and is a sideways slider that reveals a full QWERTY keyboard for messaging. This form factor is not known for its svelte waist line, so it's no surprise that the eXpo is exponentially thick. It feels weighty and solid in the hand, and made of middling quality materials. They aren't the finest we've laids hands on, and they're certainly not the worst. Disappointingly, the touch surface is resistive, not capacitive. It works OK, but not as good as many of the new devices that have hit the market lately such as the Motorola Droid and HTC Hero/Eris. There are a few controls on the front, which include send/end keys, a Back key and the D-pad/fingerprint sensor. "What?" you ask, "A fingerprint sensor?" Yes, that's right. AuthenTec has been supplying smartphones overseas with these nifty little sensors for years. I am surprised that it's taken so long for a U.S.-bound smartphone to ship with one built in. It works as a D-pad, and lets users move the on-screen cursor around the display. It also depresses so users can make selections, just like a regular D-pad. It can also be used to secure the phone. Users will first need to register their fingerprint with the phone, which takes a few sample swipes. Basically, put the first joint of whichever finger you want to register along the sensor and swipe your finger downward. The fingerprint can then be set as a password for nearly any application on the phone. Need to unlock the home screen? Swipe! need to open the email program? Swipe! Need to access sensitive corporate files? Swipe! You get the picture. On the left side is a very small volume toggle. It was difficult to find, and it presented very little travel and feedback. On the right side, there are several buttons, including a camera key and an application key. These are also hard to find and use. 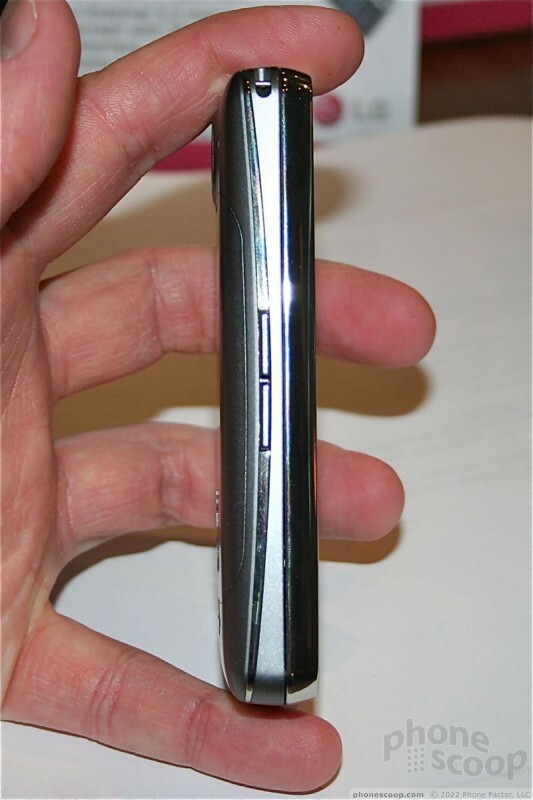 Jammed into the upper-most corner is the hatch covering the microSD slot. On the top of the eXpo you'll find the power key and LG's proprietary data/charging/headphones port. I say "Boo!" to this. Smartphones should at least be using miniUSB or microUSB. It's a shame that LG left out what's becoming an industry standard feature. The eXpo runs Windows Mobile 6.5. Professional. For the most part, that's what you see most of the time you interact with the device. 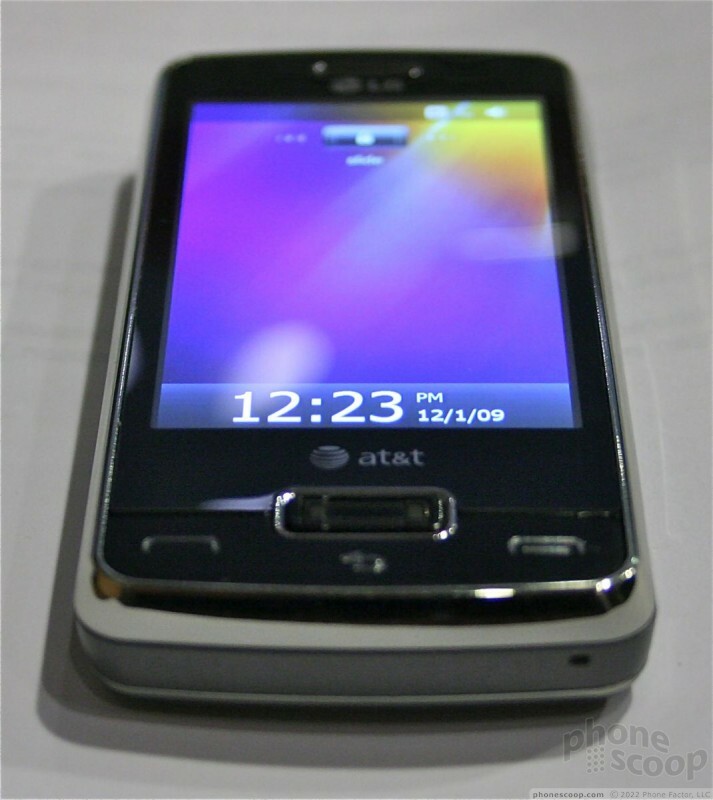 However, if you wish, users can choose to open an menu system that was devised by LG for Windows Mobile. It's a proprietary menu that sits on top of WinMo. It is not a user interface overlay. It's simply a different way to interact with the menu. Rather than the off-set Windows Mobile pattern, it offers four neat rows of applications. Users can scroll sideways through each row to find more applications. It's not immediately intuitive, but it makes sense it its own way. In all, the hardware isn't bad. It's definitely a more usable phone that LG's first Windows Mobile effort from last year, the Incite. I'm a neophyte when it comes to pico projectors, specifically the technology behind the projectors. I am very excited about the potential to embed these projectors into a cell phone. Does anyone have an opinion on MVIS's solution relative to DLP? I'm wondering if I should buy this or wait for MVIS version when it's more broadly available. ...for the pico DLP, and one of them is being able to enlarge photos to show my hard-of-seeing grandmother. Very cool. the DLP projector has good video. but its not good for reading text unless its large fonts. a LCoS projector is better suited to read smaller print. resolution resolution is the key.